What if your child dreams to be an "artista" someday? It is very common for children to aspire to become a celebrity or artist someday. After all, they see their idols and favorite celebrities on TV and movies all the time. If your child aspires to be one, here is his/ her chance to become the next big star. On its 12th year of celebrating talented Filipino kids, SM Supermalls unwraps a bigger and more exciting SM Little Stars as the kiddie-talent search gives away over PhP9.5 million worth of prizes, which include 2 brand new Chevrolet Trax, trips to China for 2, college scholarships from the National University, and PhP200,000 worth of cash and SM gift certificates – announced at a media launch on February 28 in SM Megamall. SM Little Stars continues to be a platform for kids to share talents, enhance their personalities, and develop their confidence. The competition not only recognizes the shining and brightest kids, but it also celebrates the start of their journey in becoming stars in the future as they inspire more children to discover their innate talents. 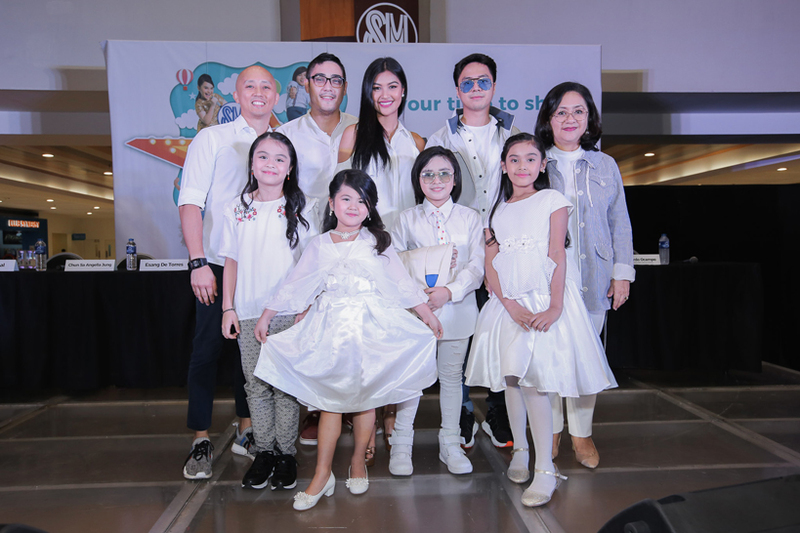 The kids will also have the chance to be guided by celebrity mentors and a series of workshops to help develop their talents and boost self-confidence, as well as to encourage them to have fun and make new friends! SM Little Stars achievers who are now making big names on showbiz include 2014 Girl Grand Winner Fil-Korean Chun Sa Angella Jung, who continue to win fans with her acting prowess and is a mainstay of a kiddie sketch comedy show on mainstream TV. Joining the celebrated kids is 2013 Boy Grand Winner Nhikzy Vheench Calma who was awarded as WCOPA 2017’s Junior Grand Champion Performer of the World last July 8 in Long Beach, California. Also not to be missed is 2016 Girl Grand Winner turned commercial model Sheena Kirtsten Bentoy who is all set to play a well-loved role in Disney’s The Lion King The Musical in March. Every individual boy or girl whose age is between four (4) to seven (7) years old during the date of the Preliminary Screening schedule, photogenic/telegenic, cute & charming with pleasing personality, and talented, is eligible to join and be qualified to win the SM Little Stars competition. * The application forms can be downloaded from the SM Little Stars official website, www.smlittlestars.com.ph. It will also be available at the Mall Administration Office (Marketing Department) at any SM mall branches. 3. What kinds of talents are allowed? Each individual contestant shall perform ONE of the following talents: singing, dancing, modelling, acting or role-playing, doing acrobatics or gymnastics, visual arts presentation, or playing an instrument. 4. Who can I contact for more details? Please give us a call at 876-1111 or email us at customercare@smsupermalls.com. You may also visit www.smlittlestars.com.ph for more information on the contest mechanics and general rules and regulations. So, what are you waiting for? Auditions begin on April 7 in participating SM malls nationwide! For more details about SM Little Stars, check out https://www.smsupermalls.com/smlittlestars. For exclusive news about SM Supermalls, visit www.smsupermalls.com or follow SM’s official social media accounts on Facebook, Twitter, and Instagram; and get an insider access to all the fun happenings at SM Supermalls nationwide through SM’s Viber Public Chat. Tweet your thoughts, upload and share your photos about your memorable moments at SM, then use its official hashtag #EverythingsHereAtSM. Gone are the days when the "male chauvinist" society had women as far inferior as men—very dependent and submissive to whatever the latter commanded. Women today are not just regarded as homemakers, but nation-builders as well. Beyond the confines of their houses, they, too, can make a big difference––be it in the economic, social or political arena. From being a household queen to boardroom’s rockstar, women run on very hectic and active schedules everyday. So imagine the strength they have to withstand the daily grinds, not to mention the stress and pressure they have to endure just to fulfill the duties bestowed upon them. Nevertheless, they’re no “Wonder Woman” at all, nor our very own heroine “Darna” so as not to feel exhausted and tired from chores or work. They’re also humans, who need to pause for a break from being the jack-of-all-trades. This March—declared as International Women’s Month—is the best time to celebrate their power and influence with the gift of beauty and wellness that they truly deserve. What a better way to have it than a rosy, bouncy and shiny hair to begin with. Because it is the mane that a person is mainly looked upon, it’s a conscious effort for everyone, especially women, to make it pleasant to gaze at. So a regular bottled shampoo and conditioner, plus treatment are, more often than not, the solutions to turn to, regardless of the bad effects they may cause. 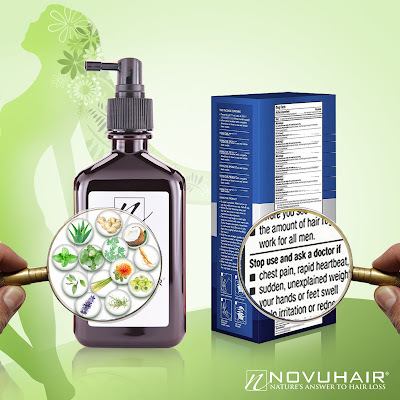 Some of the harmful chemicals they contain are too much to handle, especially by as fragile as a hair follicle. Their main damage being mane breakage is hard to manage. Tricky it is to treat the resulting tress that’s less weak and elastic. Though negligible, other repercussions—allergic reaction and scalp irritation—also need keen attention and urgent solution. Where else do women usually turn to for remedy than a beauty salon. After a pampering sesh, they may opt to avail any of their formulated solution for upkeep. 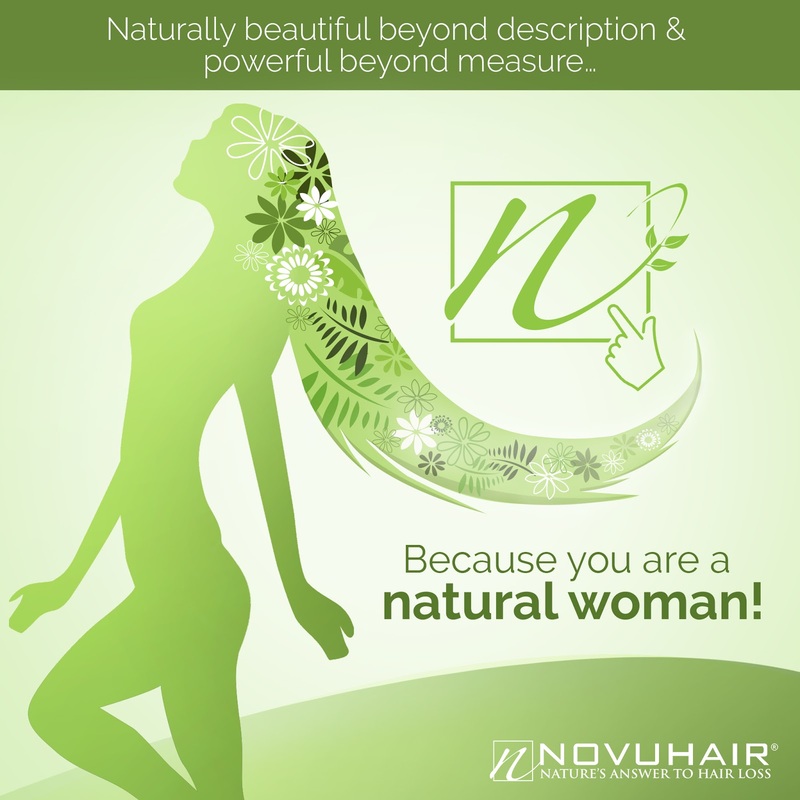 For optimum results, it’s best to combine it with NOVUHAIR 3-in-1 pack to promote robust locks and scalp. NOVUHAIR is the only tress growth product in the market containing 19 natural herbs, essential oils and co-factor nutrients working synergistically to help remedy mane problems from growth to vanishing. It deeply penetrates to help rejuvenate, nourish, maintain moisture in the scalp and hair, and improve the overall appearance of the tress. Lastly, it’s an effective and safe solution to arrest hair loss. So come and celebrate womanhood at your favorite salon anytime this month. Much better if you can make it regularly to bond with your sisters or besties over a hair spa or treatment. After all, your crowning glory deserves a second look. Feel more empowered as a woman - order NOVUHAIR 3-in-1 pack online, get one (1) box of NOVUSKIN LIFT with 30 anti-aging tablets worth P2,970 for FREE at Lazada. For inquiries, call 413-6570 or 0922-8830575, visit NOVUHAIR Facebook Page or website at www.novuhair.com. Creating good landscaping designs at the offices or commercial establishments require a lot of creativity and application of modern techniques to ensure that it suits the requirements while keeping it economical and within the budget. One needs to do some experimenting with the landscaping items to find out which are the best ones to use in designing for one's space. A great landscaping design is very important since it creates goodwill which will eventually attract a lot of clients or customers which good for the business. On the other hand, a not-so-good landscaping design will reflect the same in its business clients. A majestic landscaping design requires excellent ideas and creative experimentation with the modern landscaping techniques. The use of ornamental trees like the Capensia can be a great idea however, there are some limitations for using such plants and trees.Thus, most of the time the use of large artificial trees in landscaping is the best alternative. High Maintenance - natural plants and trees like the capensia tree requires high maintenance including regular watering and pruning. It also involves the application of fertilizers and insecticides whenever required. Optimum conditions- the natural plants and trees will not grow everywhere and will need the outdoor conditions to survive (e.g. adequate sunlight and air) Thus, it would be difficult for these plants to thrive inside the office. Regular cleaning- one will have to clean the place of the dried leaves and litters from the tree which is one of the major considerations in the office landscaping. Many plants and trees will attract flies and insects which is also a major concern in the offices. Limilifespanspan- the plants and trees have a limited lifespan which means it needs to be replaced after certain time. 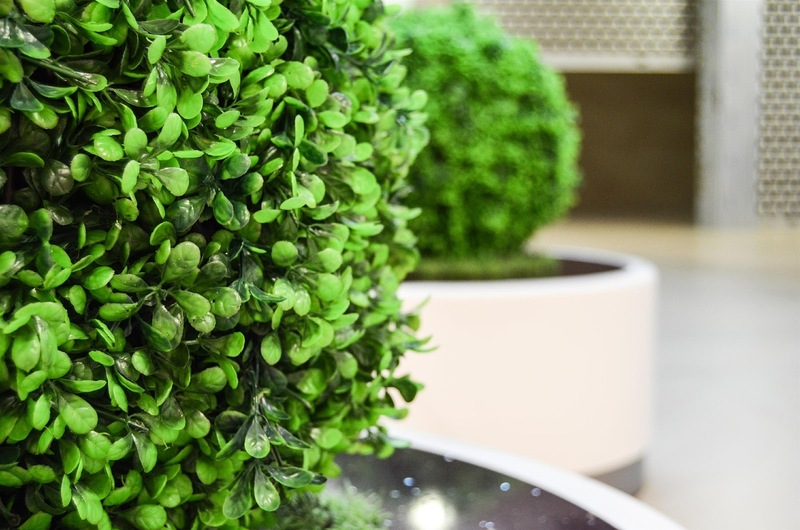 On the other hand, the artificial greenery will last for a lifetime once they are placed. Can’t be moved - after you created a landscape design, it would be difficult to move the plants or trees and recreate the design. This is something not possible with the natural plants and trees thus, the use of artificial foliage is getting popular. Talking about the natural Capensia tree, the drawbacks will be more as they are ornamental trees and its natural habitat is in the South African forests. So, they won’t survive in all climatic conditions. The artificial Capensia tree is a great alternative with a lot of advantages. The artificial Capensia tree has a green color on one side of the leaves and a marvelous maroon color on the other which is a rarity among the ornamental plants. It will be a great sight at your office. 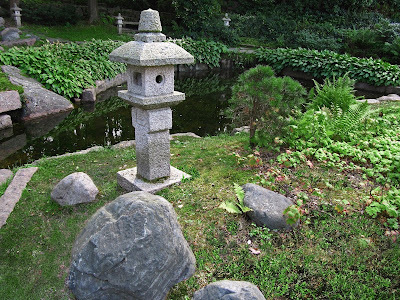 The item is best suited for indoor as well as outdoor landscaping. The polyester leaves and the natural wood stem of the tree are durable to harsh weather conditions. You need not worry about the color fading away due to exposure to outdoor conditions. Talking about the artificial greenery, most silk pants have one uniform color throughout. The mixture of green and maroon will be a great treat for the eyes, and the viewers will be attracted to its beauty. You can use the silk Capensia tree according to occasions. You can use it indoors during the indoor office parties to treat your guests and shift them outdoors otherwise for a great outdoor landscape. The silk Capensia tree is available in sizes ranging from 5’ to 8’ which lets you choose the ideal size for the location in your office. The Capensia tree will look more natural outdoors like any other natural tree. You can pick up any spot and experiment it with the landscaping item. The majestic view of the Capensia tree will be a treat to the eyes as the viewers cherish its charm. You can experiment with some locations like the lawn outside the office or near the entrance area where it will get the maximum views. You can place the outdoor artificial tree in a separate garden or just place it on a stand near the gate; it is sure to turn some heads and get a lot of appreciation. One thing you should keep in mind while experimenting with the position of the artificial greenery is that you must place it at such a location where it will get the focus of the people and placing some lights near it at night will give a heavenly look. The artificial Capensia tree will look magical indoors as large natural trees don’t usually grow indoors. You can place the artificial greenery and decorative wall panels at any location ranging from the reception, the meeting room where it may bring a refreshing mood during busy business meetings, the refreshment areas for the employees where it will uplift the mood of the employees, etc. You can put your creativity to use and experiment with a lot of new places in your office and find out the best results. With the help of ThermaLeaf manufacturing process, the polyester leaves are made fire retardant to increase the safety of your office as there are a lot of recent cases of fire breakouts in offices due to the use of cheap landscaping products. It will ensure safety as well as spread the charm in a majestic landscape in your office. The silk Capensia tree is made after an ornamental plant growing in South African forests with green and maroon leaves. It has a majestic view along with ThermaLeaf technology which will be great for indoor as well as outdoor landscaping in your office. There are both men and women bikers, but men bikers outnumbered women bikers. When it comes to shopping for motorcycle gear, there not many choices for the women to choose from. But for the men, they can easily find something that they like at the store, pick it up and try it on. If it fits and the quality is acceptable, they pay for it, and the shopping is complete! Women bikers, whether they are riders or passenger, have to understand that shopping for motorcycle gear is not the same as shopping for their clothing. Whether one is the rider or the passenger, both must understand about taking safety precaution and to put on motorcycle safety gear whenever they get on a bike. Both must understand the consequences of falling off the motorcycle without wearing proper motorcycle apparel. When it comes to shopping for proper motorcycle apparel, women bikers have to understand that safety must come first. Wearing the size that fits without restricting the necessary movement is important. Choosing and wearing motorcycle gear is first and foremost about safety protection and proper fit, and not so much about looking good. When we shop for women’s motorcycle jackets, it is different from trying on clothes in front of a mirror. We must understand that motorcycle jackets are designed to fit and perform best when seated on a bike, not standing beside one. Motorcycle jackets are meant to fit snugly at the chest and loose across the shoulder so that when the arms reach out for the handlebars, all will fit properly. The jacket sleeves should also be longer than usual. There are different types of motorcycle riding jackets. Most are designed to work in more than one season. These jackets have removable liners and strategically placed ventilation for more airflow. There are also waterproof jackets with covered or sealed zippers to keep the bikers dry. Some jackets may have straps on the sleeves to help keep armour in place. Good quality motorcycle safety apparel is designed for protection against impact and abrasion resistance. The apparel should accommodate armour to be crashworthy. The apparel should be made of high-quality materials that are abrasion resistance e.g. leather and should be stitched with a material that won’t give way to impact. Motorcycle pants should run slightly long so that the knee armour slides perfectly into place when your feet are on the pegs. Some pants have the ability to adjust your knee armour up or down depending on how tall you are. Choose riding gloves with a pre-curved fit so they feel comfortable when gripping the bar. Riding boots should limit your foot from excessive forward or backward movement.